Panic – Time to Jump on the Low? Our models show a gap in the Reversals, which is what you look for in a panic move. We warned, “A closing below 16680 would warn of a drop to the 15500 area.” This was the GAP. 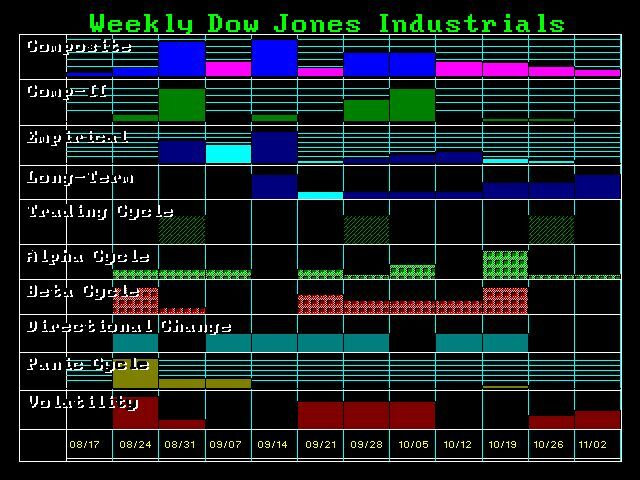 So far, the Dow fell to 15370.33 on our target for this week as the Panic Cycle. We ran our What-If model and asked Socrates what the Daily Bullish Reversal was from this low, assuming it holds; Socrates came back with 17595. Naturally, this is a hypothetical number. The actual number is generated only after the close. We can see the string of Directional Changes. This is EXTREMELY UNUSUAL and warns that this move today has caused systemic damage to confidence, which helps the shift into the flight to quality that we require to finish the bubble in government. Looking at our correlation models, gold has not run up to the Weekly Bullish at 1187. It has barely moved up today, warning that today is providing a higher probability for a low. 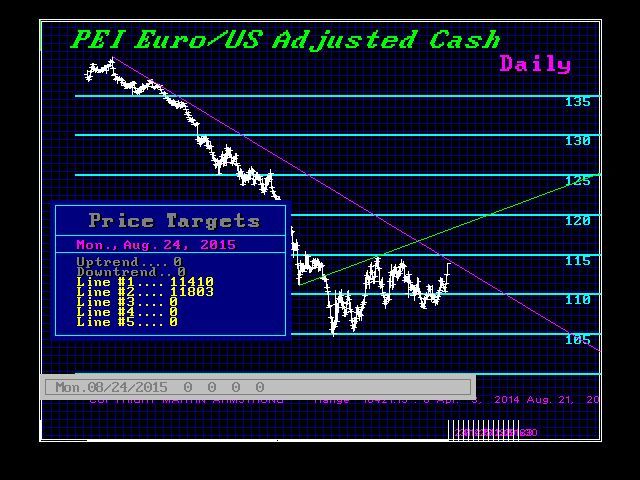 Looking at the euro, we see the Daily Bullish at 11649, 11679, 11969, and 12353. The intraday high so far has been 11712, currently trading at 11601. A closing below 11649 today will also suggest that today is the extreme. Today was the target for a turning point with a Directional Change, so this type of move is a good panic that typically eliminates confidence. Markets should now be choppy and many will look to take positions on a reaction, assuming the trend will continue. The Monthly Bearish in the Dow lies at 15550, which is the number that will say whether this is not a false move but a correction. Then we need to look at October for the next possible low. This is where I would be WRONG about a three-month False Move as we would then be in a sharper correction. However, that would still not erase a rally to new highs. 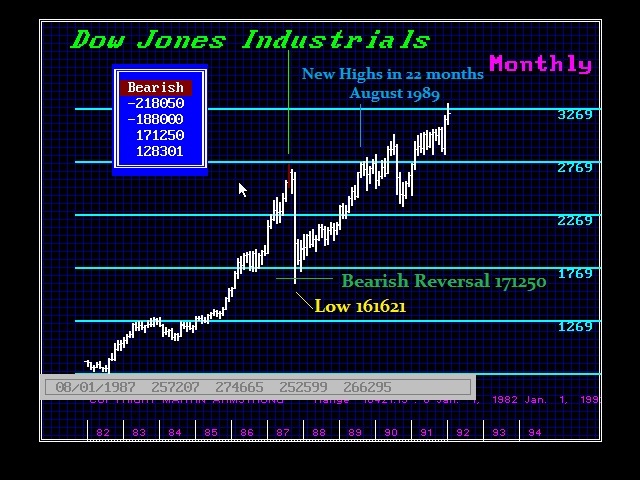 If we follow the same degree of damage, as was the case with the 1987 crash, we elected the first two Monthly Bearish and held the third. This is the 15550 number currently, whereas the first two are 17065 and 16899. We MUST always define where an expectation is RIGHT and where it is WRONG. This is by no means a time for emotional forecasts that will plague the headlines because that is what sells. 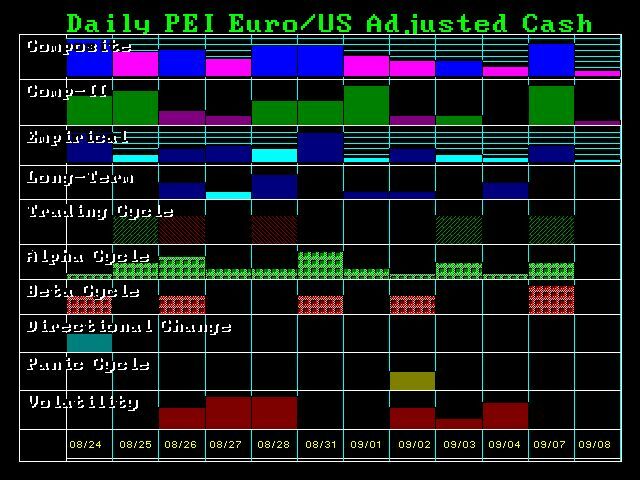 « Markets in Turmoil: A False Move Preparing For Something Else?